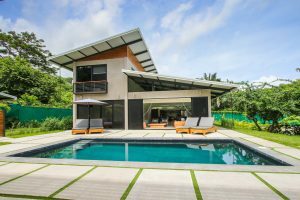 Surf Camp owner, Jason Senn, has travelled extensively throughout the world as both a professional and recreational surfer and he has found Costa Rica to be one of his favorite destinations. The consistent warm water surf, set in amazing tropical jungles, magical beaches along with some of the friendliest people in this world make Costa Rica a must-see location for everyone. Jason came to Costa Rica in the 90’s to study Spanish when working on his International Business Degree and he fell in love with the surf and culture. 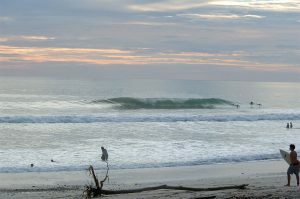 After exploring the surf extensively within Costa Rica he found the tropical beachside paradise on the tip of the Nicoya Peninsula to be the ideal place for all levels of surfers. Endless Summer Surf Camp is now offering Surf Trips for small groups to Costa Rica. These camps are for all levels of surfers, join a group or put together your own group. Whilst in Costa Rica our days will be filed with Daily surf sessions mixed with some local activities and tours. 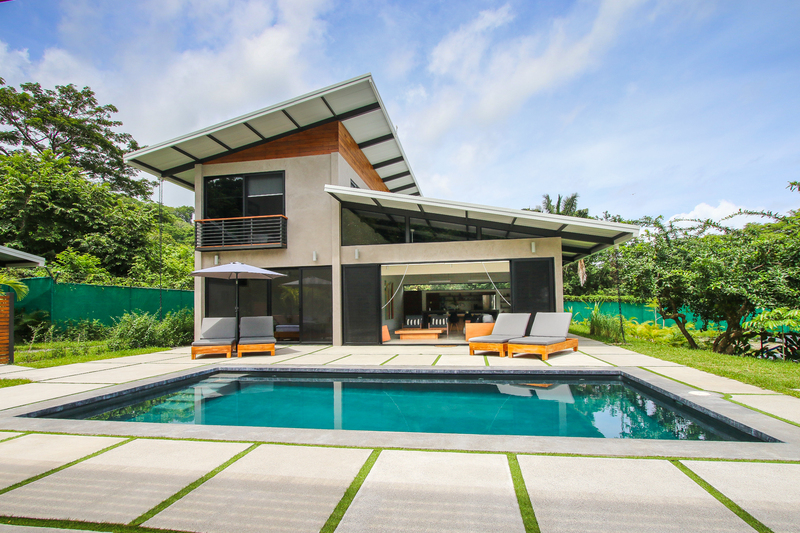 Our new customized Surf House is located a stones throw from Playa Hermosa, one of the most beautiful beaches in Costa Rica. Casa Nalu consist of a main house, and a casita, surrounding a large pool and rancho. Houses are equipped with full kitchens, private bathrooms, AC, WiFi, Telephone, TV, and all your needs for the week. Jason, your Surf Camp host, and his staff will be present 24 hour supervising campers ensuring all needs are met and fun is being had. 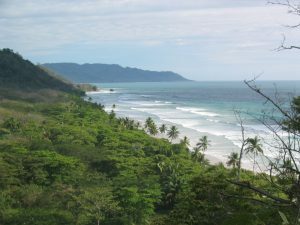 The Mal Pais/Santa Teresa area is located on the tip of the Nicoya Pennisula and offers amazing surf for all levels of surfers. There are a variety of beach breaks, point breaks and reefs to choose from to surf. Depending on the swell forecast and the group’s ability we will find the best waves for you. Most surf sessions will take place within walking distance from our surf house at Playa Hermosa because this amazing wave has something for everyone. No matter what your surf level is we will have the appropriate coaching for you. Jason Senn will be the lead coach along with his trusted crew of local surf instructors, including some local pro surfers. Our Coaches will ensure you make your surf dreams come true while staying with us. If you are looking to take your first step as a surfer or wanting to take your surfing to the next level our coaches will help you reach your goals. All Surf Coaches are First Aid/CPR Certified. Costa Rica Surf Camps will take place in the area of Playa Hermosa, Santa Teresa, Costa Rica. The area offers perfect surf for all levels of surfers. This surf trip is set up to be a cultural surf experience, combining surfing with local tours and local food. These camps are open to all levels of surfers. If you have your own equipment we suggest bringing it along. If not we will try to accommodate you. These trips are limited to small groups of 4-8 participants. Space is limited. All participants must have valid passport and purchase travel insurance. All rooms have safes to lock valuables in. Participants are responsible for their own possessions. Get ready for an adventure of a lifetime…. 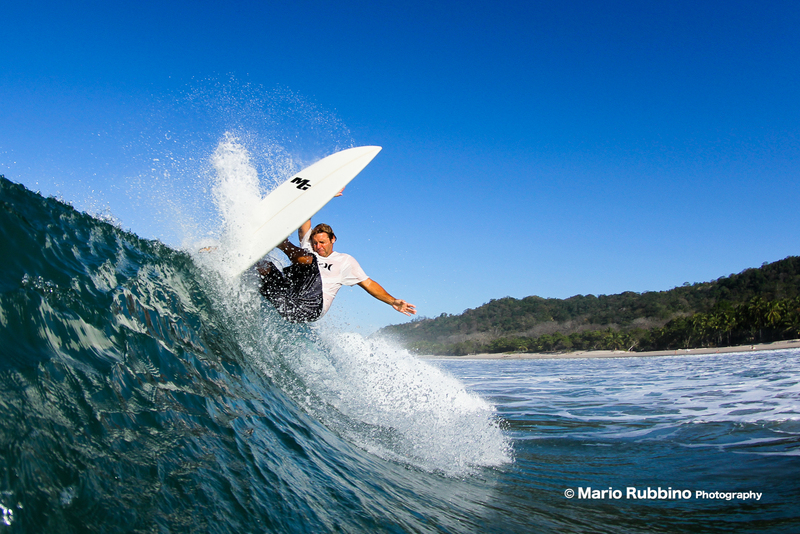 * Costa Rica Surf Camps are for ages 21 and over. Airfare not included. Lunches and some dinners are not included in the adult package. We need a minimum of 4 surfers for a session to run. If minimum number of campers is not met 14 days prior to surf camp start date, camp will be cancelled and you will receive a full refund. Endless Summer is not responsible for any inconvenience, or the cost of travel if camp is cancelled due to not meeting minimum requirement. Contact us for more information or to book a camp. After our morning surf session we will head out on an adventure for the day, if you choose. It could be a scenic drive to an untouched beach, a waterfall tour, horseback ride, or we might choose to fly thru the jungle on a zipline tour. Day 7 will be the last day for our weeklong participants and they will pack up and get ready for their journey back home. We are only offering this unique Cultural Surf Camp experience to a select group of male and female campers. So if you are interested sign up as soon as possible. We will cater to personalized groups of 4 – 8 surfers. This enables us to offer you a unique Cultural Costa Rican Experience mixing in surfing with tours of the local area mingling with the amazing “Tico’s” or Costa Rican’s and their amazing local cultural attractions. We will be staying Jason’s Surf House. Casa Nalu(Surf) consist of a large main 3 bedroom house, and a Casita(small house) with a loft surrounding a pool. Houses have AC, Fans, Full kitchens, Private bathrooms, WiFi and TV. The Surf House is within walking distance to the beach. This Surf Camp is geared for Adult surfers of all ages, looking to improve their skills. The age range for Costa Rica will be 18 years of age and over. This camp can also be booked as a family week if adults wish to bring minors or family along for a customized surf camp. Camp Owner Jason Senn will be your host and ambassador of Pura Vida for the week. He along with the Endless Summer Surf Camp local crew will be coordinating the Costa Rica Surf Camps to make your trip a memorable experience. Campers will be fully supervised 24 hours a day while they are with us. Jason has been living off and on in Costa Rica for the past 20 years. He and his crew have vast knowledge of the local culture and area. The best airport to fly into is Juan Santa Maria International Airport in San Jose (SJO) airport. We do have a curbside shuttle service which will meet you or your son/daughter in baggage claim. Airport Transfers are included in the price of camp for appropriate arrival and departure times. We will travel as a group from San Jose to Malpais taking the land route. Approximately 5 hours travel time. If the group wishes to fly down via the local domestic airline we can arrange this for an extra fee. Please contact us prior to booking any flights to ensure appropriate arrival/departure times. Most your meals are included in our surf camp package. We will try to meet all your dietary needs. A typical day will include a quick continental breakfast prior to our surf session. Followed by and after surf hearty breakfast, brunch or lunch depending on how long we surfed. Local typical breakfast consist of eggs, gallo pinto(rice and beans) fresh fruit, tortillas and bread. Dinners will be mixed between cooking at the main house and eating out at local eatery’s. NO surfer will go hungry. Snacks and alcoholic drinks are not included so bring some extra spending money to pick up some local snacks at the store. Surf camps start on Monday’s, when and what time do I need to be there? Surf camp sessions begin on Monday’s with everyone arriving in Costa Rica. Arrivals should be the Sunday before surf camp starts. Please contact us for arrival times. Spending money for outside activities, souvenirs, etc. A detailed packing list and other information will be sent out after you sign up. After a long day of surfing we might head back to our surf house to relax, hydrate and eat some snacks. Or we might take in lunch at a local eatery and pick an local adventure for the day. This could be a scenic trip down to the local fishing village to grab a fresh fish for lunch. Or we take in a tour of a local water fall and swimming hole to cool off . What you will get with is is a taste of Pura Vida. We want you to be exposed to as much of the local culture as possible, eating at local eateries, conversing with the locals, visiting local stores off the beaten path, forcing you to practice the conversational Spanish that we plan to teach you every evening.